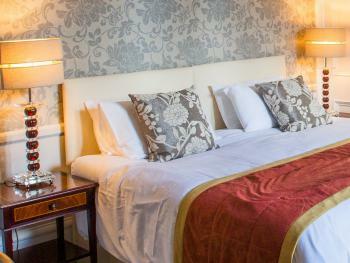 Situated on the first floor at the front of the hotel and incorporating a super king size four-poster bed. 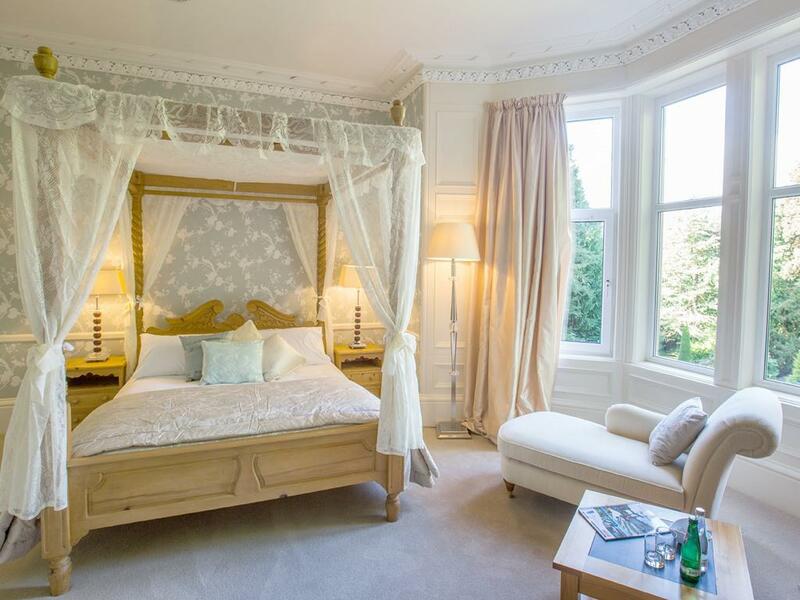 The romantic bedroom is complimented by a chaise lounge enabling you to enjoy panoramic views over the town from a large double glazed bay window. 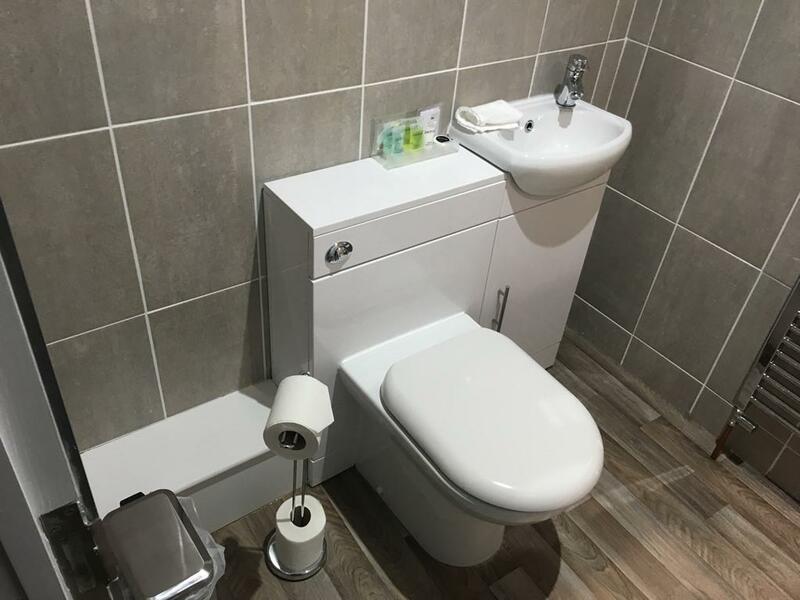 A modern en-suite bathroom incorporates a double ended bath, toilet and wash basin; complimentary toiletries are provided and there's always lashings of hot water courtesy of two newly fitted boilers. 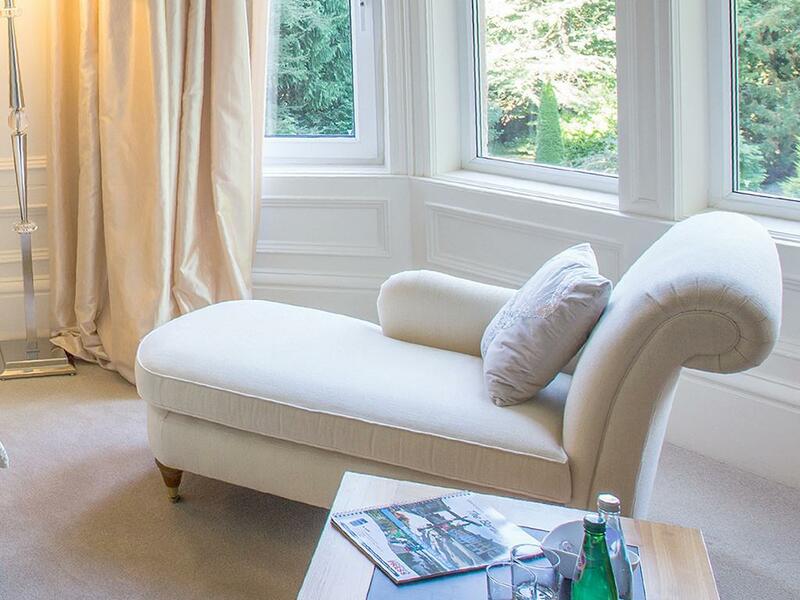 Accessed directly from the car park, this ground floor suite is ideal for less mobile guests. 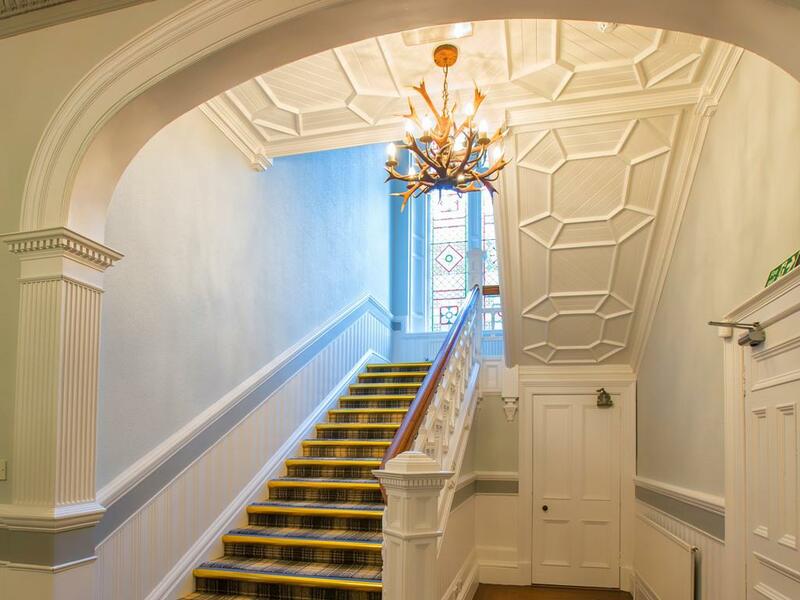 A gentle ramp leading from the corridor adjacent the room ensures that all ground floor facilities may be accessed using wheelchairs. 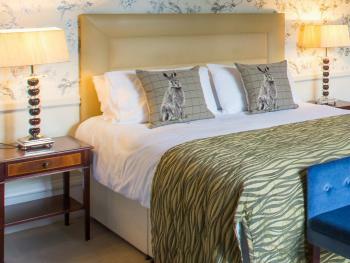 The super king-size zip & link bed enables the room to be configured as a double or twin dependent on your exact needs. 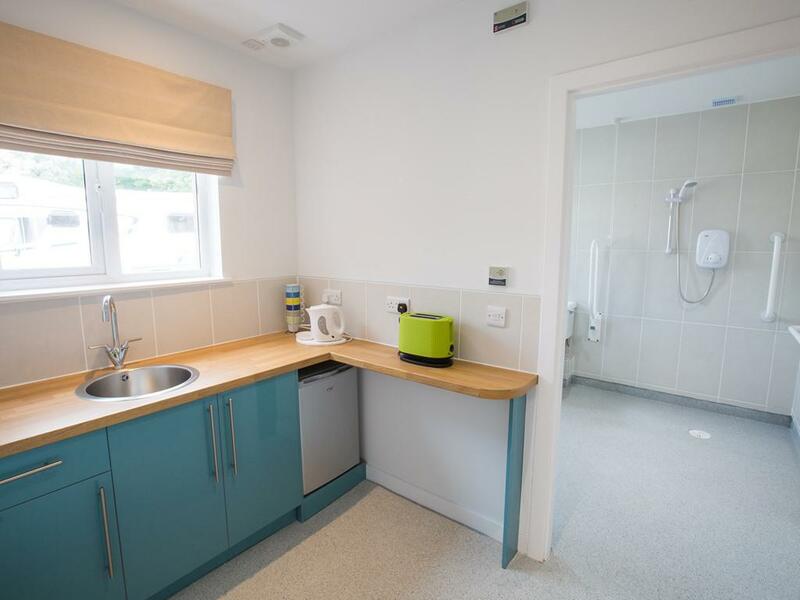 A small kitchen with fridge, tea/coffee making facilities etc provides through access to a large fully tiled wheelchair accessible wet room fitted with grab rails and fold down toilet support rails. With it's own private bathroom adjacent the room and super-king size bed, this bedroom has been luxuriously decorated and furnished to create a real sense of luxury. 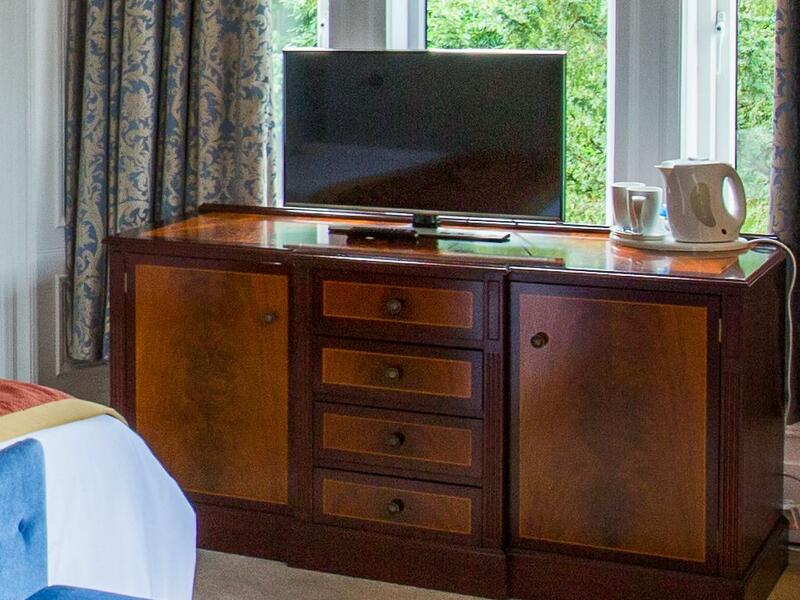 A flat screen smart TV is provided, as are tea and coffee making facilities, both still and sparkling bottled water is also provided. Situated on the first floor at the front of the hotel and ideal for families, this room affords commanding views and has an interconnecting door which enables the room to link to a further double/twin room with ensuite facilities if required. 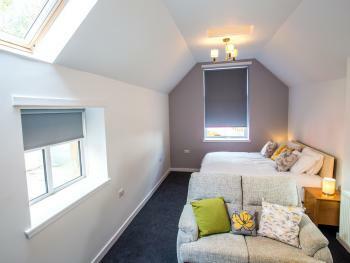 In this room, an additional folding bed can be comfortably accommodated at additional charge: please call us directly on 01450 372 858 if required. 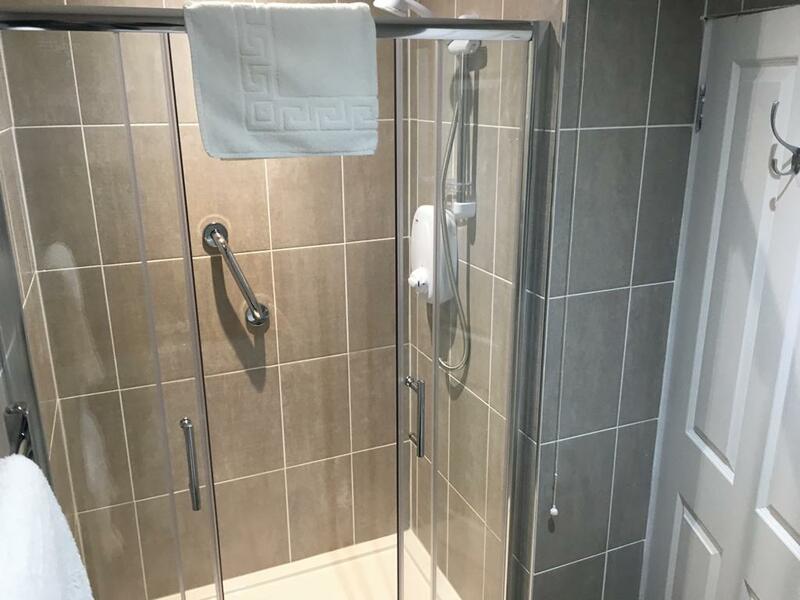 With a modern en-suite bathroom, this dual aspect room has super king-size zip and link beds which can be configured as a double or twin. 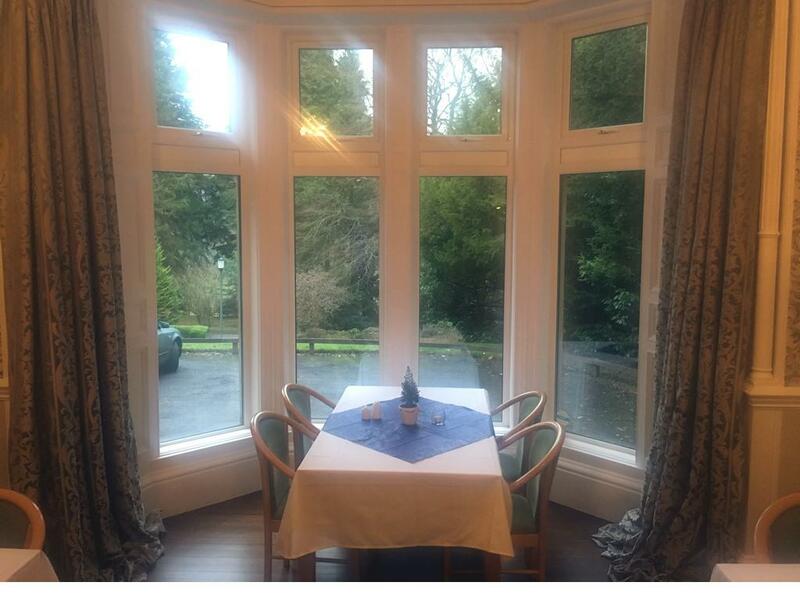 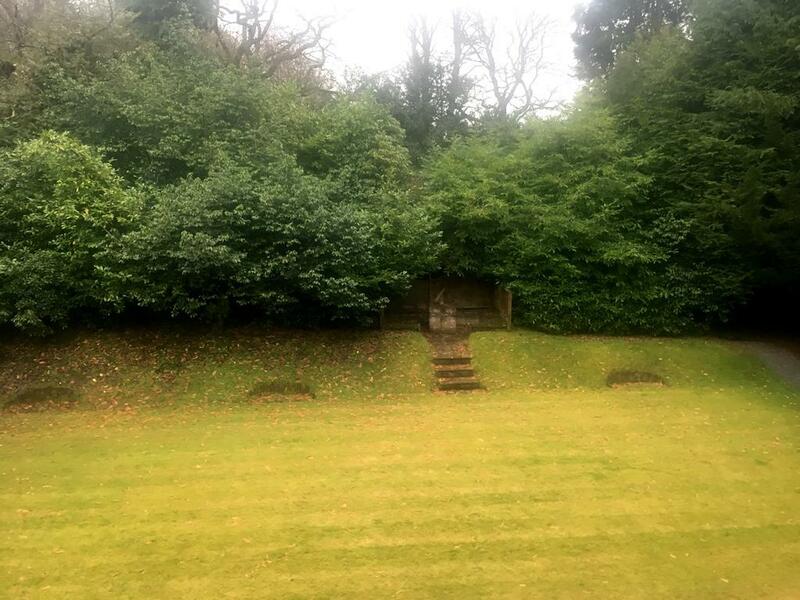 This first floor room overlooks the south facing garden & lawns to the side; to the front of the room the south westerly aspect delivers panoramic views of the town. 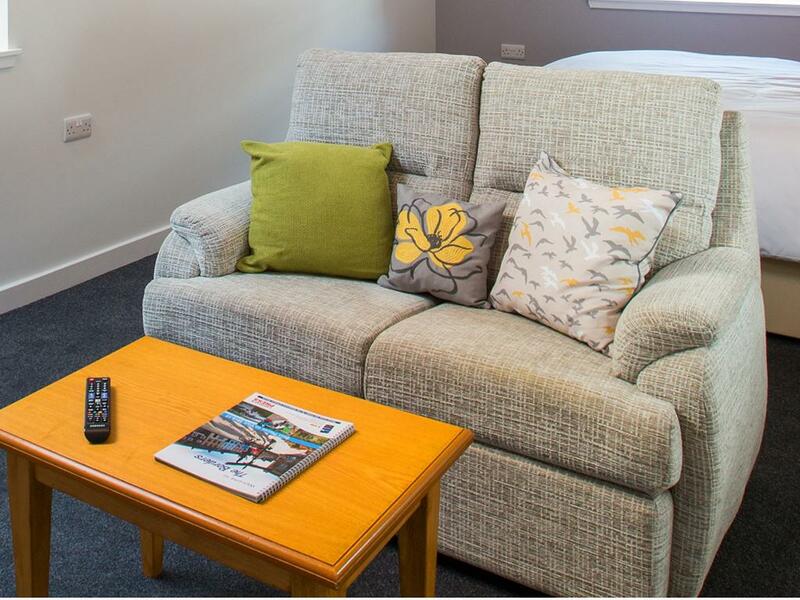 In this room, an additional folding bed can be comfortably accommodated at additional charge: please call us directly on 01450 372 858 if required. Overlooking the south facing lawns and garden at the side of the hotel, this large comfortable room has en-suite bath & toilet facilities. 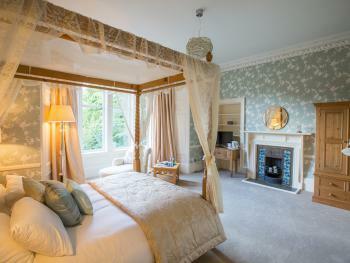 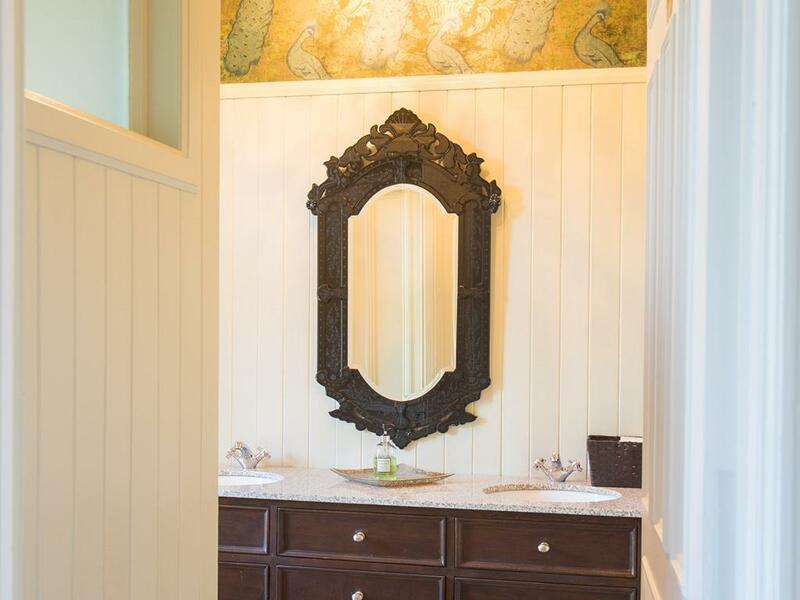 Over the bath, a shower is also provided and high quality complimentary toiletries are provided. 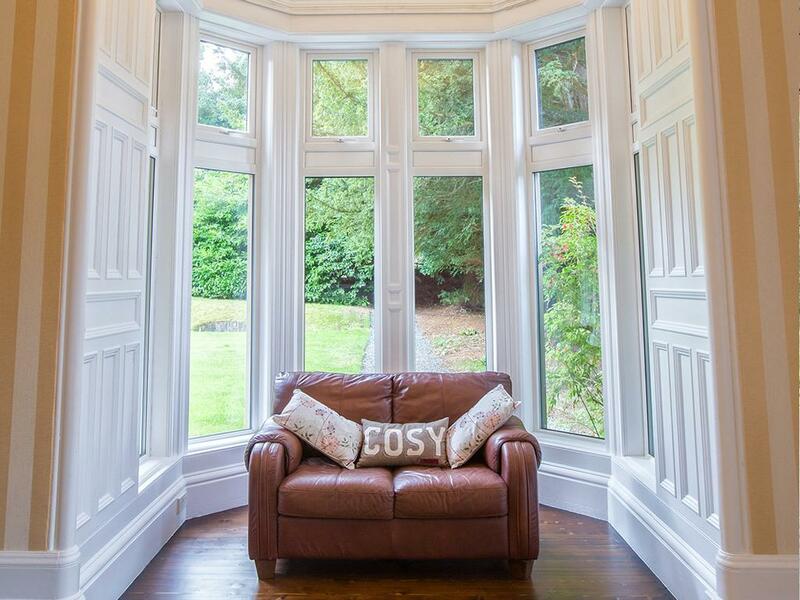 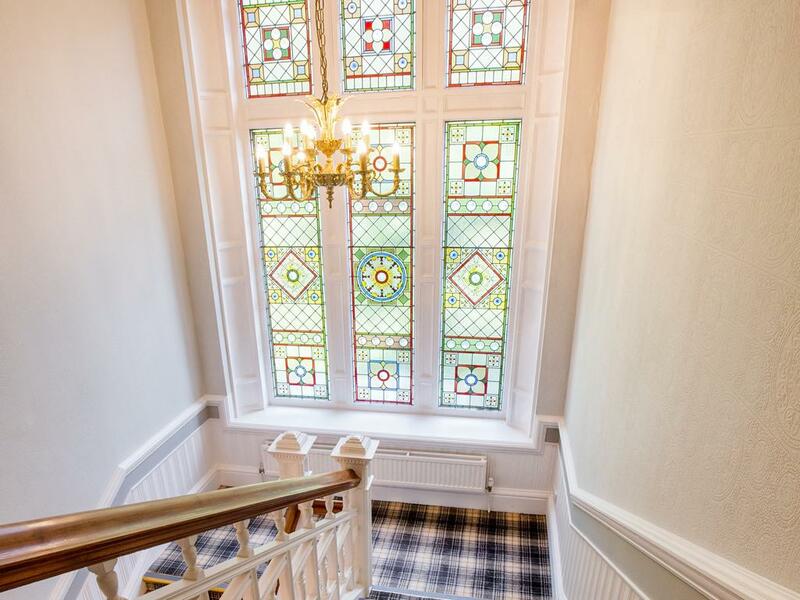 Accessed via a grand staircase with half landing and stunning stained glass window this room is situated on the first floor. 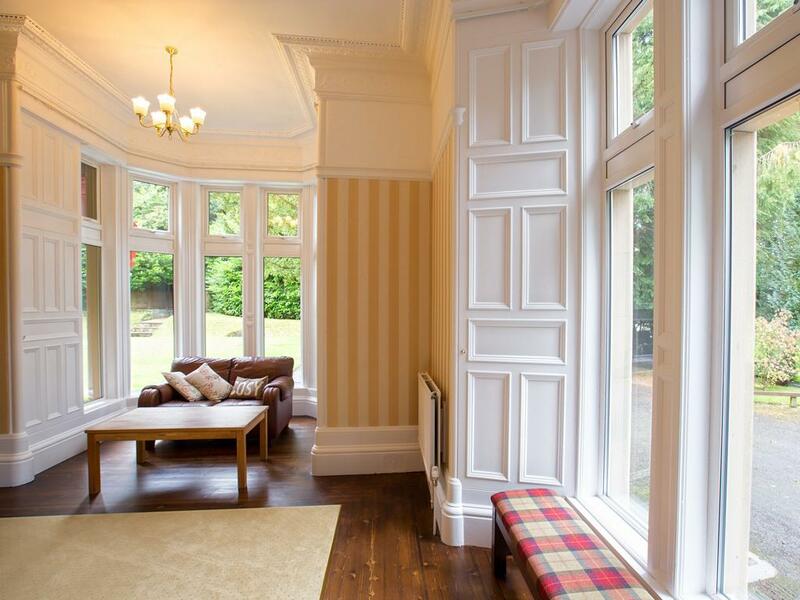 Situated on the first floor, this south facing room has been tatefully decorated and benefits from a small balcony enabling to to enjoy al-fresco drinks whilst watching the sunset. 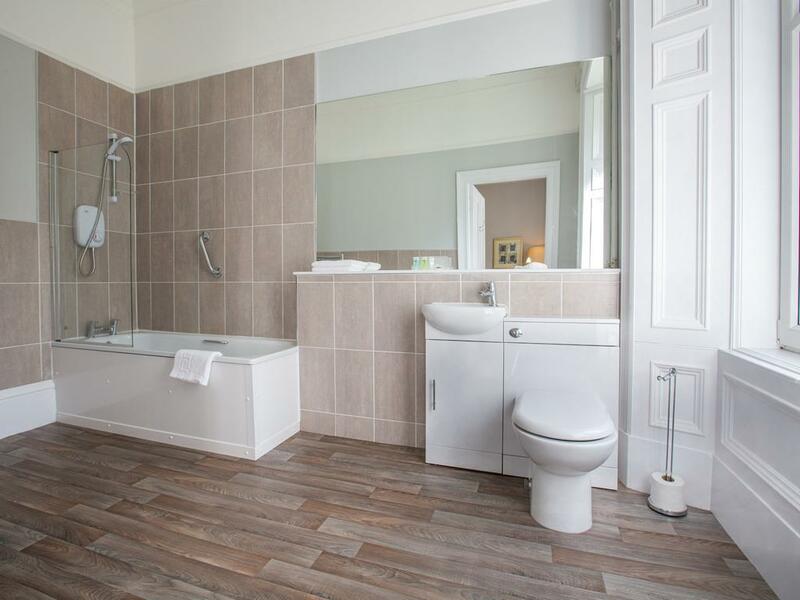 The en-suite bathroom incorporates a bath with shower over and complimentary toiletries are provided. 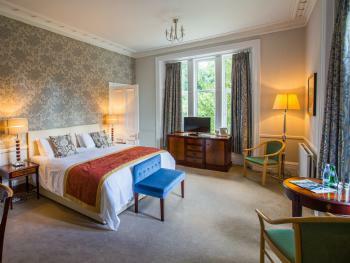 Situated on the first floor at the rear of the hotel, this room enjoys dual aspect with side and rear views. For maximum comfort, a super king-size bed ensures a restful night's sleep and an en-suite bathroom with w.c, wash basin and bath with shower over is provided with complimentary toiletries. In this room, an additional folding bed can be comfortably accommodated at additional charge: please call us directly on 01450 372 858 if required. 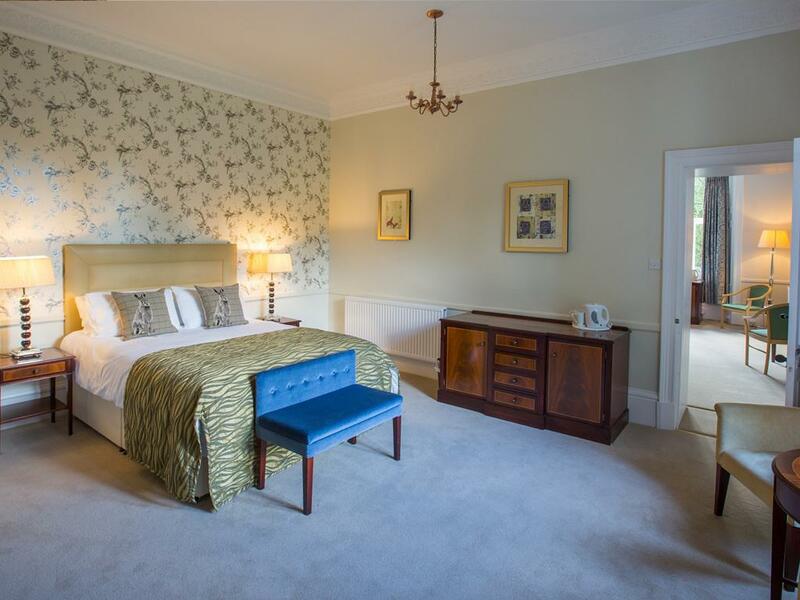 Situated on the first floor this super king size room benefits from a double en-suite shower room with wash basin & toilet facilities. 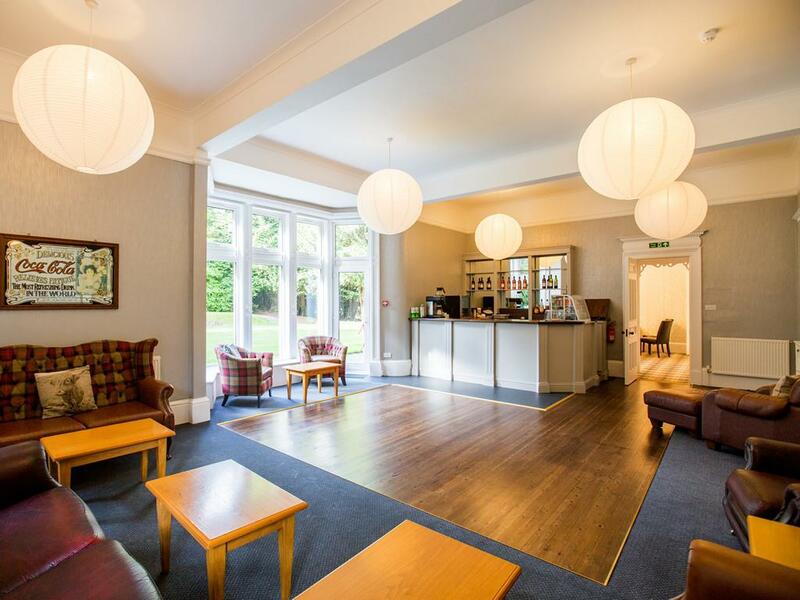 Tea & coffee making facilities are provided together with complimentary still and sparking water; complimentary toiletries are provided in the ensuite shower room. 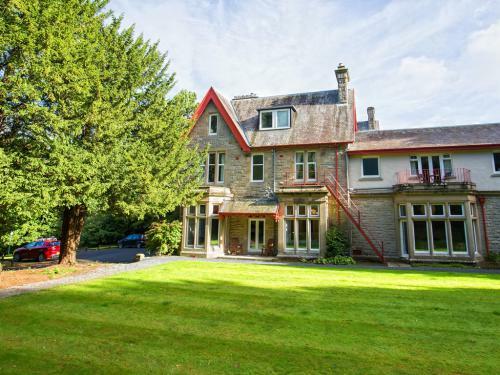 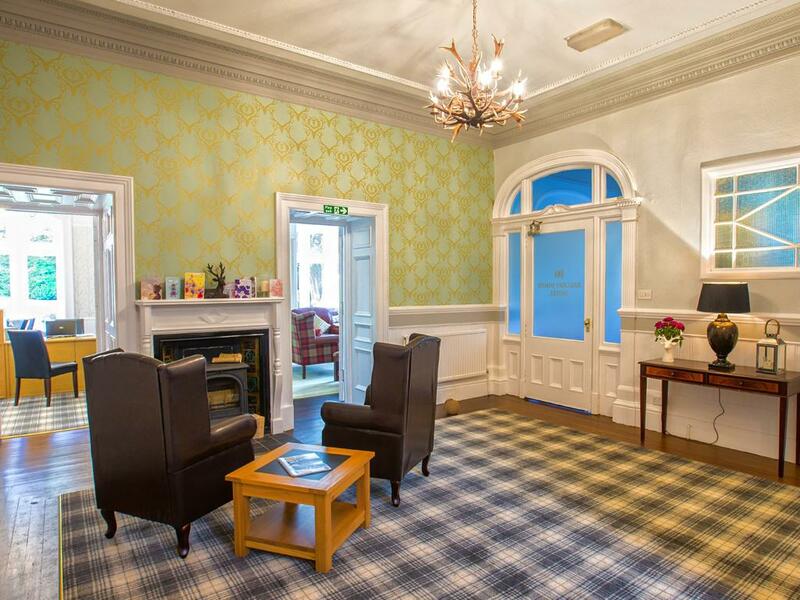 Offering grand proportions, super king size zip and link beds and friendly, efficient service, the Balcary House hotel is situated in an elevated position on the south side of the Scottish Borders town of Hawick. 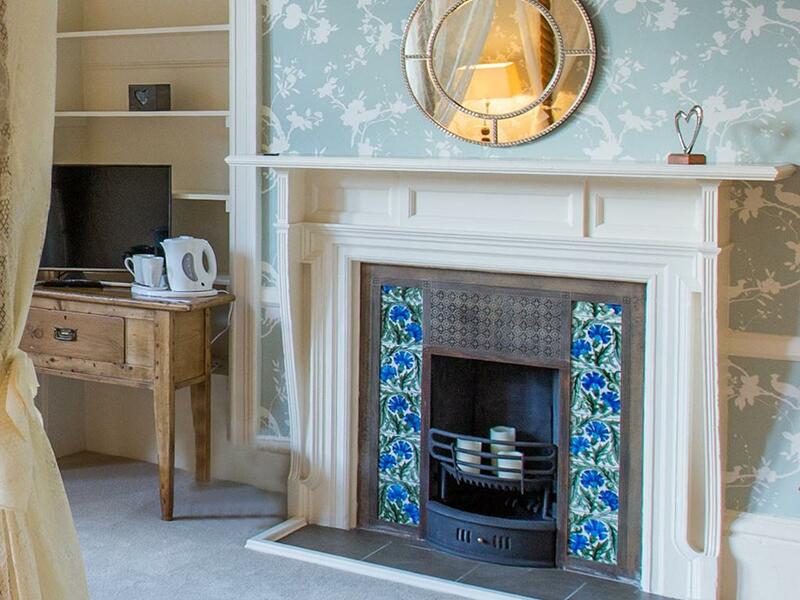 Providing the perfect country house retreat, the hotel has been lovingly restored by owners David & Susan Watson in 2016 to its former Victorian splendour. Decoration & furnishings throughout the hotel have been carefully selected by Susan to create a comfortable, relaxed atmosphere that oozes style & sophistication whilst ensuring a cosy, home from home feel. 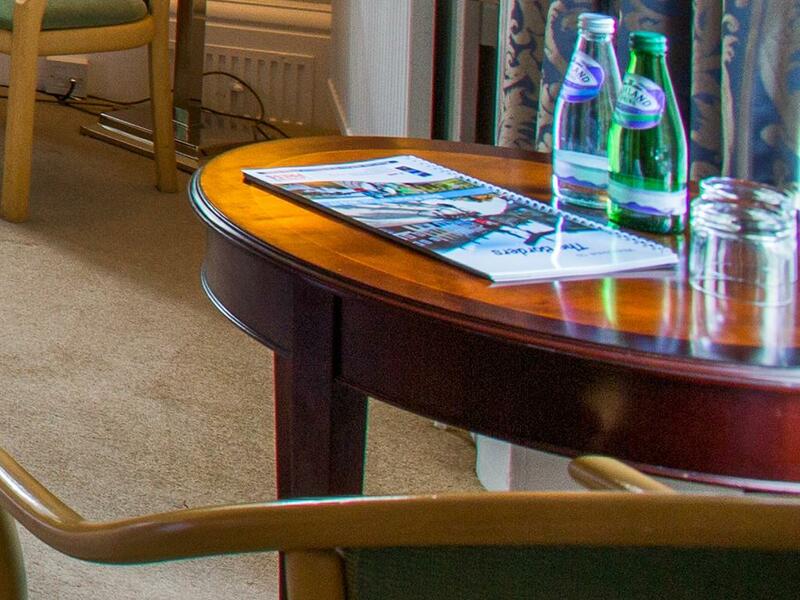 Ample free parking is provided to the front and side of the hotel and from the moment you arrive; friendly and attentive yet discreet staff will ensure you are made to feel completely at home. 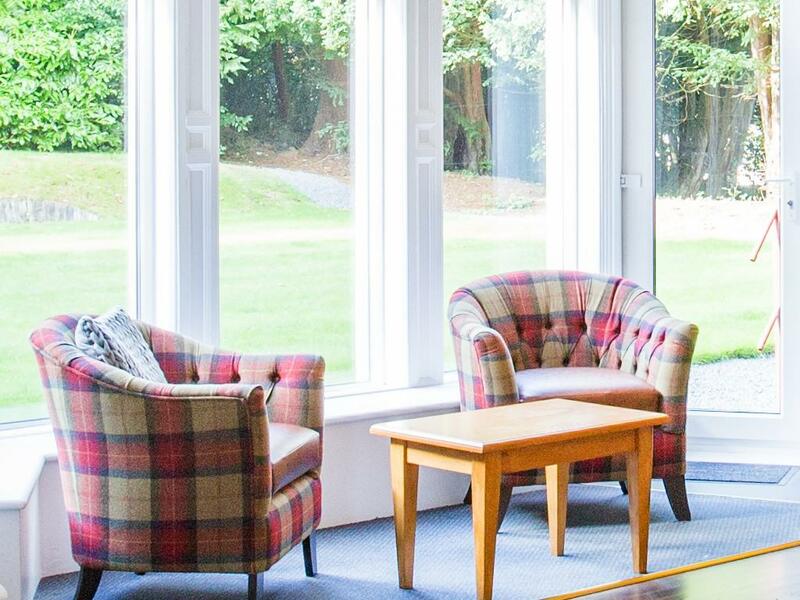 Free Wifi is provided throughout the hotel including all bedrooms and public rooms, newspapers can be provided each morning, ironing & laundry facilities can also be provided on request. 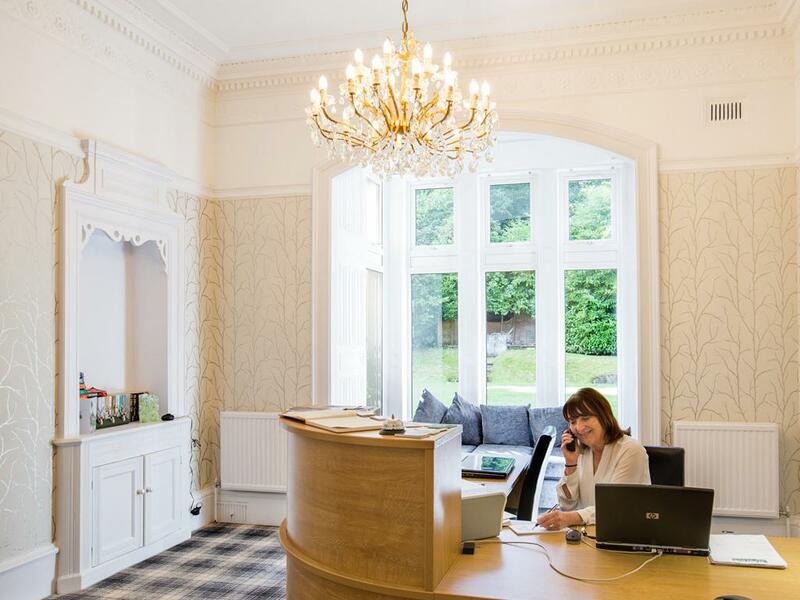 On the second floor our pampering suite provides facilities to relax and unwind, beauty treatments, reflexology and massage treatments can be booked at reception. 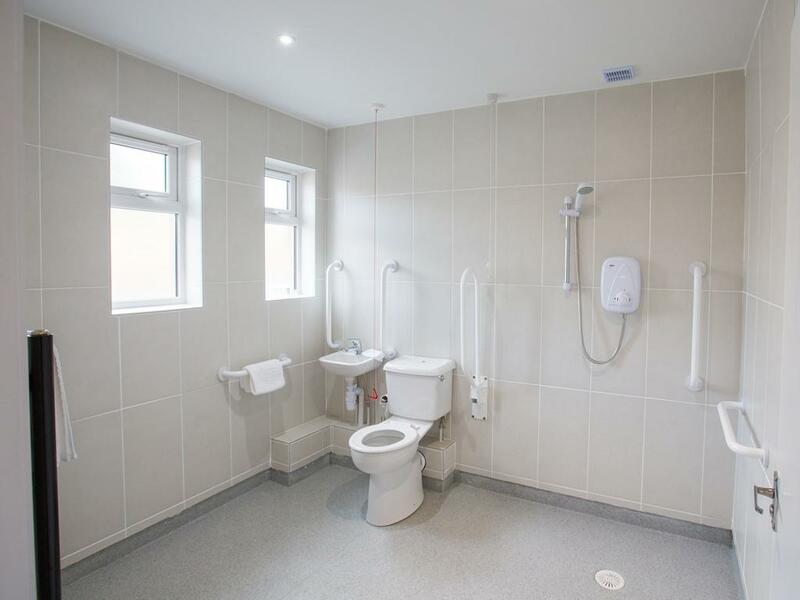 Accessible directly from the private car park, the hotel offers a ground floor easy access suite comprising bedroom with seating area, a small kitchen and wheelchair accessible wet room with grab rails and emergency alarms. 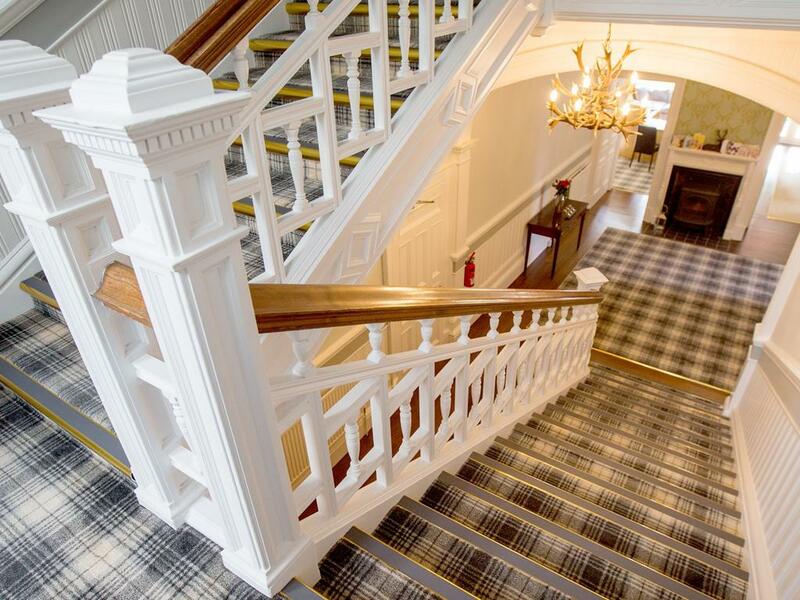 Gentle ramps have been installed throughout to provide easy wheelchair access to all ground floor facilities, reception, bar, lounge and breakfast/dining room. From Carlisle take the A7 North, you will cross the M6 Motorway at Junction 44 and continue north on the A7 tourist route to Edinburgh. En-route you will pass through the village of Longtown and a couple of miles further on you will cross the Border from England into Scotland, continue on the A7 and you will pass through the Muckle Toon 'O' Langholm. 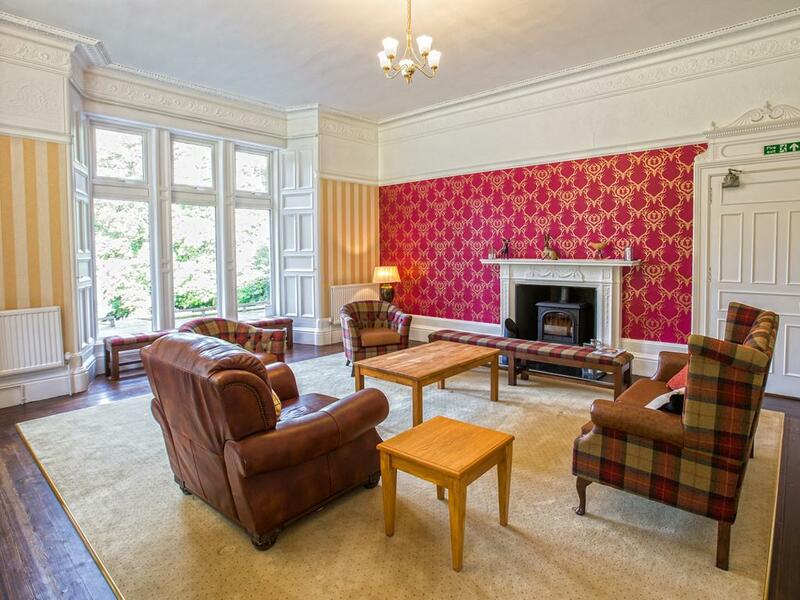 From Langholm its 23 miles to Hawick and the entrance to Balcary House is signposted on the right hand side from the A7 as you enter the town. 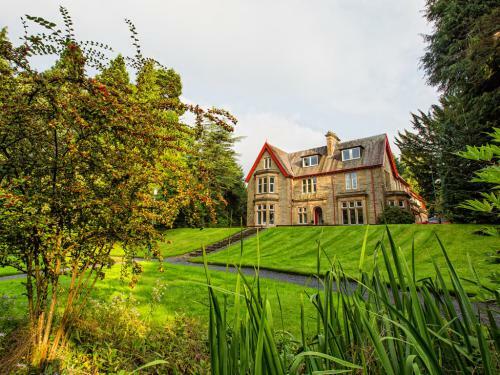 Head south on the A7 from Edinburgh (signposted for Galashiels / Hawick / Carlisle) stay on the A7 passing through Stow, Galashiels and selkirk. 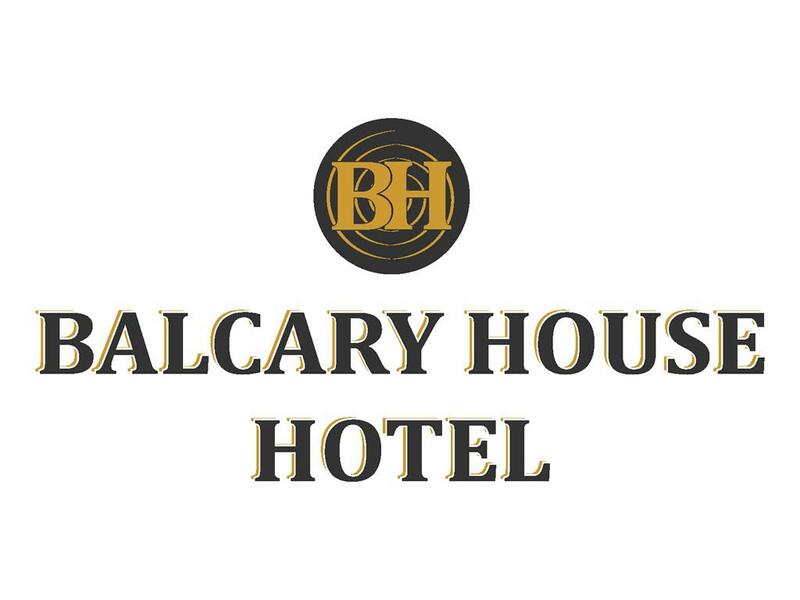 You will enter Hawick on the North side of the town, so continue through the town still on the A7 heading for Carlisle, you will pass Hawick High School on your right hand side, just south of the School you will see an all weather pich on your right hand side, The driveway to Balcary House Hotel is directly opposite and is signposted from the A7.